Did you know the San Diego Zoo is more than a Zoo? Besides having Panda, Bears, Elephants and more animals than you can count, it is also one of the most popular botanical gardens and has exhibits that classify it as a museum. A day trip to visit the San Diego Zoo is worth the trip. When you arrive at the Zoo the first thing you can do is ride the bus around the Zoo, included in your admission ticket. 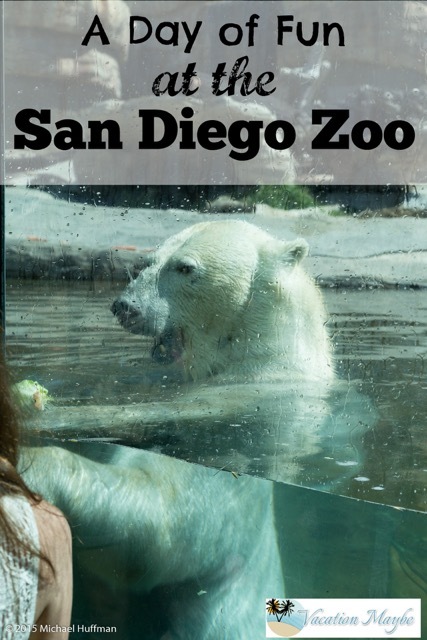 This will give you and your family a good idea of where the different animals are located within the Zoo and you will learn a little bit about the animals and the history that makes up the San Diego Zoo. There will be two options for the tram, lower or upper level, I have done both and was surprised that up top you did not really see more than below. There is often no wait or a very short wait for the lower level and since it is covered you are in the shade. I would recommend taking the tour on the lower level. My favorite exhibit was the polar bears. We were lucky enough to show up as they were feeding the bears and so it was fun to watch them munch on food and move from the ground to the water to get the tasty snack they were looking for. One polar bear stood up right in front of us and enjoyed his lunch. Another great exhibit is the Panda area, since San Diego is one of the few zoos in the United States that has pandas there is a line to get to the viewing area. 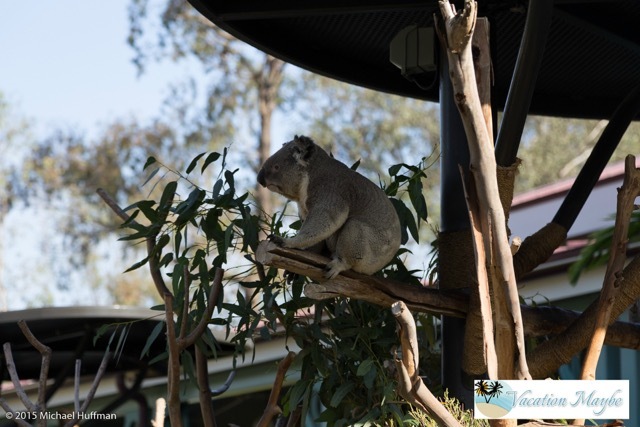 Make sure you check out the Zoo’s website to see other attractions you can book to enhance your stay. Each experience gives you an up close look at the animals. We decided to just enjoy the Zoo with our standard admission and had a great time and loved seeing all the different animals. 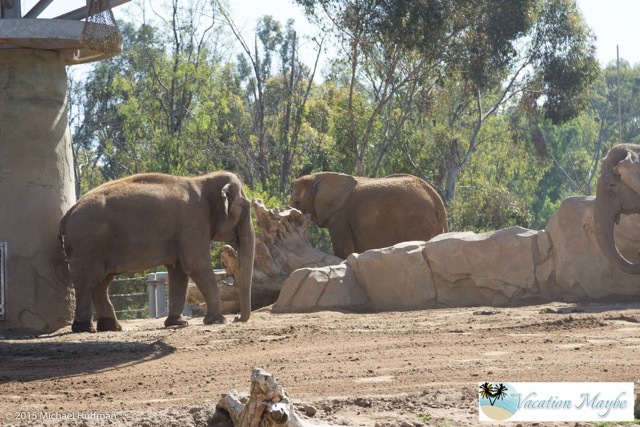 There is so much to do at the San Diego Zoo, now you just have to plan your visit.